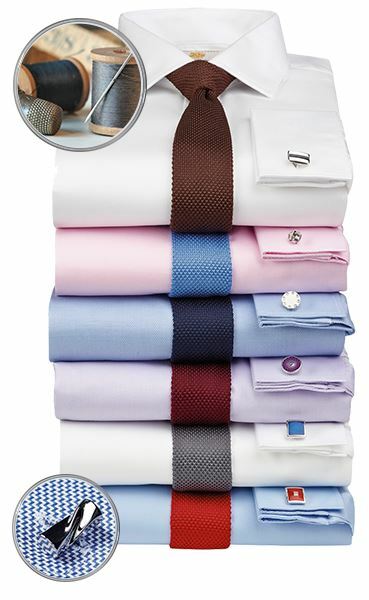 Tailored for a contemporary fit, these shirts are ideal for dressing both smart and casual events. Shirt: Tailored Fit. 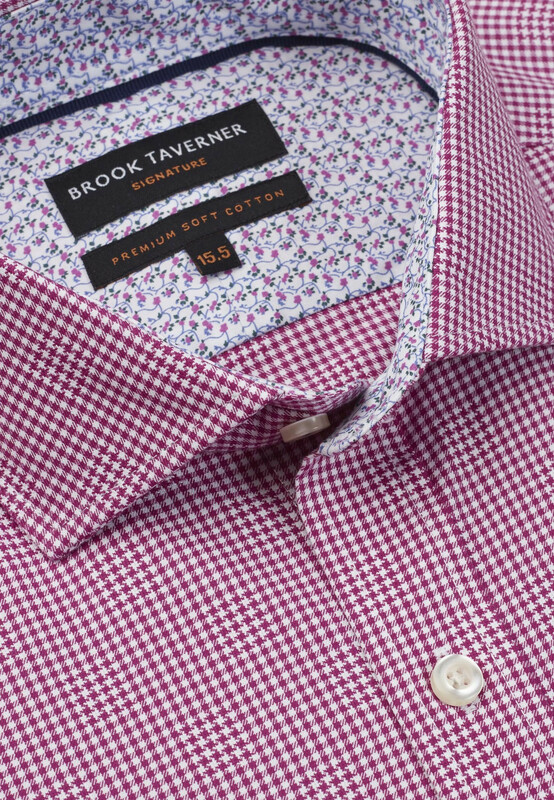 Cutaway collar. Double 100’s, 2ply cotton. Double cuff. 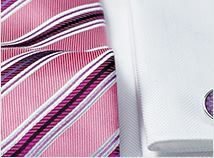 Silk Cuff link included. Removal plastic branded collar bones. Split yoke. Twin pleat back. Machine washable. Remember the days of billowy, oversized shirts? We’d all like to forget them. Today’s sleek styling calls for a trimmer cut, one that fits your body without giving away any unnecessary secrets or restricting movement. 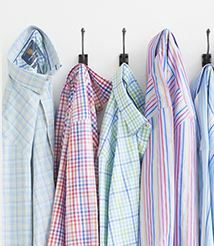 Whatever your build, a tailored fit shirt can help you look more polished, crisp and ready to tackle the world. Here’s some details on what to look for. 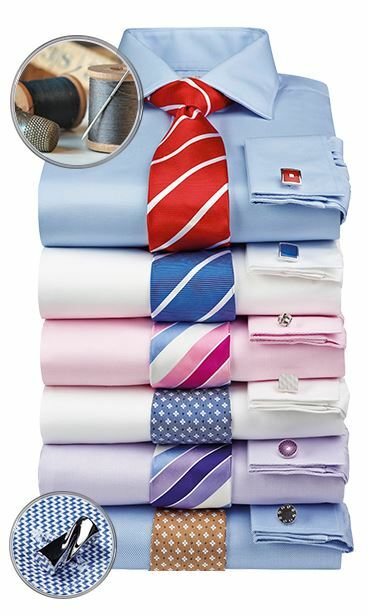 The fit of your shirt collar doesn’t change with the fit. 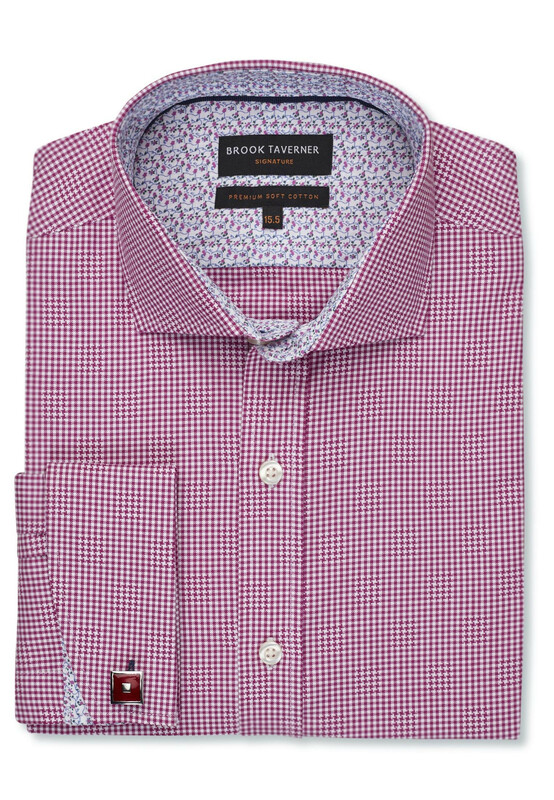 It should always allow for one finger between the neck and the collar when the shirt is fully buttoned. The shoulder seam should rest right on the corner of your shoulder bone. 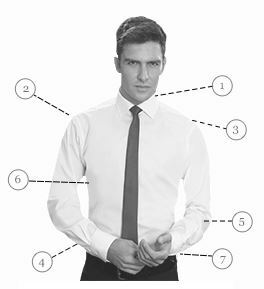 Although the sleeve of a slim fit shirt is more closely tapered than the classic fit, it should never be tight enough to see the details of your arm. Bending your arm should not cause your cuff to move up your wrist more than an inch. 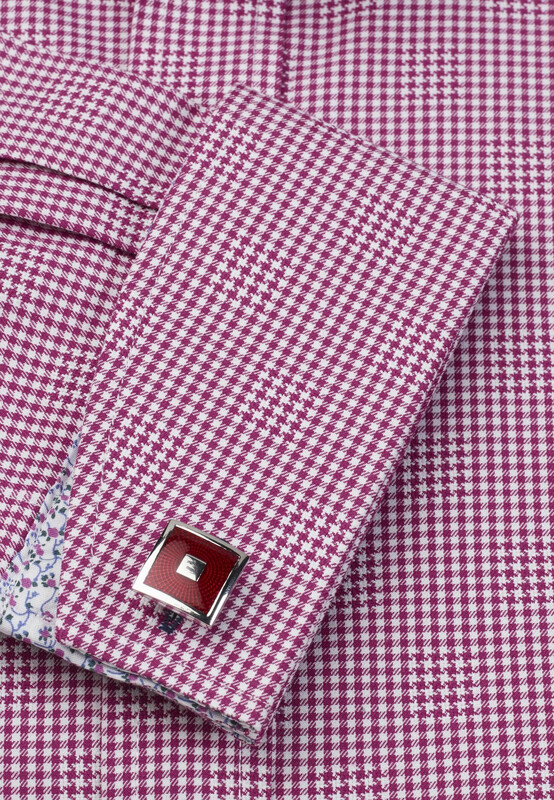 Like the classic fit, the shirt cuff should rest where your palm meets your wrist. The torso is noticeably trimmer fitting than the classic fit shirt. Created to follow the form of your body, it shouldn’t be overly tight or restrict movement. When grasping the material throughout your chest and midsection, there should be an inch or two of fabric that can pull away from your body. 7The length should be long enough to tuck in without pulling out of waistband when arms are raised chest high.